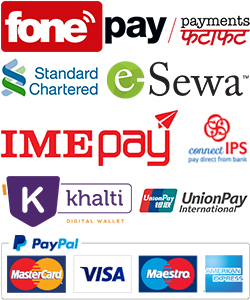 Online Shopping in Nepal, Free Home Delivery! Minimum quantity for "Maspo Racefit Bag - Hard Case Pouch Bag" is 1. के तपाईंले यो सामान अरु कुनै अन्लाइन शपिङ वा पसलमा सस्तो भेट्नु भएको छ? Enter your email address and subscribe to Thulo.Com Super Deals newsletter and get latest offers right in your email.